Photography is all about perspective. This is both literally and figuratively true. At the end of a photographer’s career this may be the single quality that amplifies or detracts from the images themselves. 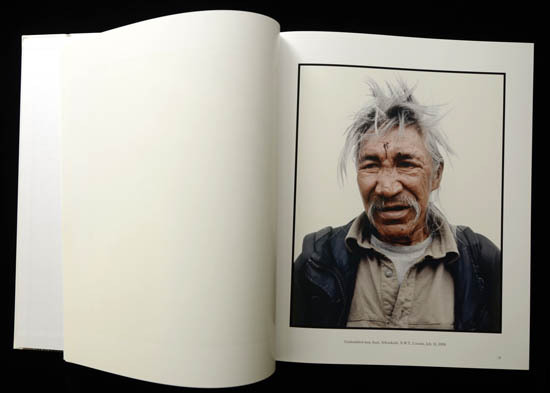 In a photobook we read the photographer just as much as the photographs. It is this quality that makes a deeper understanding possible. We hope that our notion of what is happening in a book moves beyond “Yeah, that’s a nice picture.” The work may be arranged to grapple with ideas, struggles, individuals, cultures and the question of what is important and what is real. 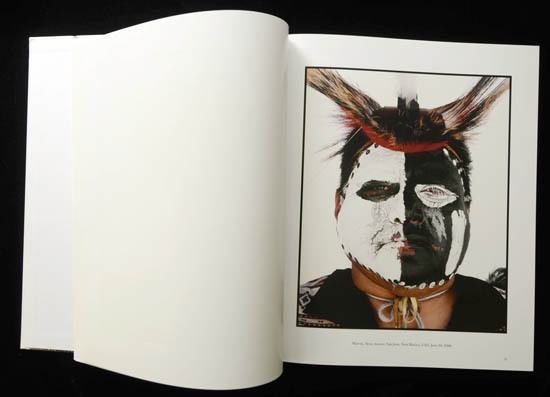 Take, for example, the work of Edward Curtis. 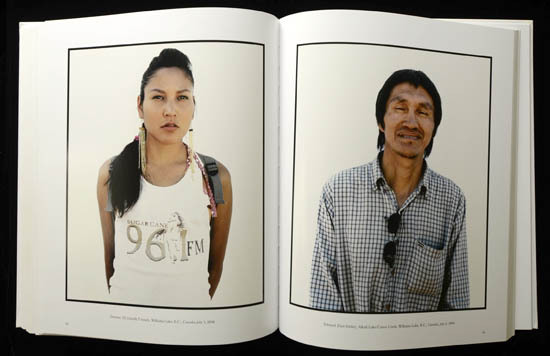 Today, his work is widely regarded as one of the most ambitious and impressive photography projects ever completed. It is also widely acknowledged to be fundamentally flawed. 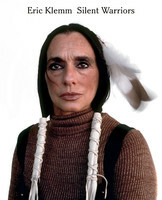 Its flaw is that it sought to document not what he found, but what he wanted to find – a romantic, Eurocentric idea of the North American Indian as alone, in traditional dress, preferably on a horse, distant, aloof, spiritually aware, and above the worldly materialism of western culture. 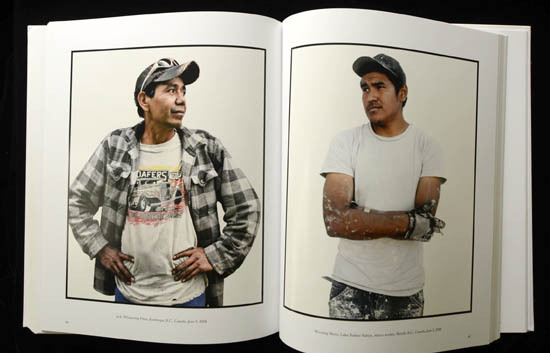 Edward Curtis didn’t just seek to record history, he sought to manufacture it. The informed modern viewer cannot see the Curtis’ photographs without also seeing his perspective. And tragically, this perspective worked against the very thing Curtis sought to accomplish. Today his work is still very impressive – but it is seldom viewed as an historic record. It is mostly viewed as what it is: a staged romance, a beautiful fiction. 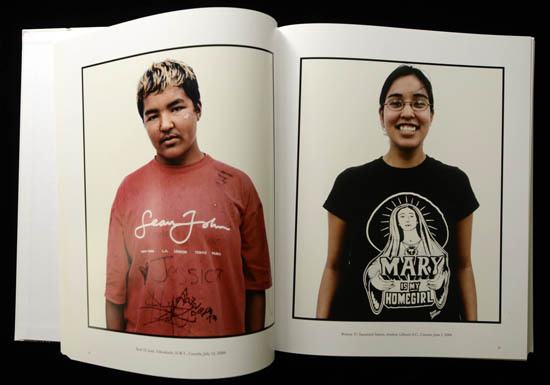 What if someone today once again took up the project of photographing the first nations of North America? How might that look? There is a good chance it would look like Eric Klemm’s Silent Warriors. To begin with, my intention was to photograph my participants immediately wherever I met them – passing on the street, at a supermarket, at a ceremony or sporting event, to capture that moment just after the eyes meet, that moment while the recognition and acknowledgment of a shared humanity was still in our eyes before the guardedness of difference darkened it. 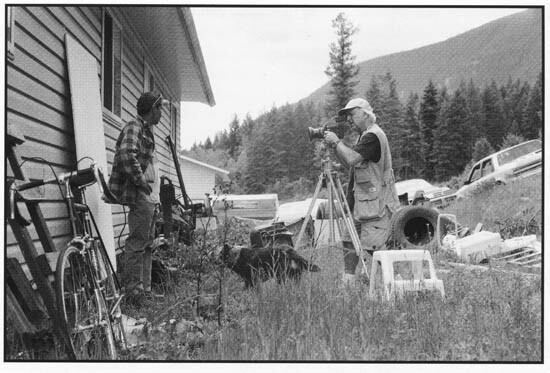 A group of natives had gathered around the spot where we had set up the camera. I photographed about 30 different people, and one of them was a drifter called Quinn. He took off his black baseball cap and for a split second his grey hair stood up high, and that was it. Then all hell broke loose. A drunken guy (not a Native) came and yelled at me: If you don’t stop photographing I shoot you in the head. One of the bystanders shouted back: Don’t speak about it, do it. Chris and I took off as quick as we could and that’s what Quinn did too, he disappeared into thin air. In the confusion of the situation we never got his name and address. Eric Klemm working in Whispering Pines Reserve, Kamloops, BC, Canada. Photo Chris Taylor. I am writing this note just to let you know what happened to Raymond & thank your for the print. He never wanted to get his picture taken, this is strange … Things haven’t worked out for Ray. He got beat up on Aug. 3/06. He has been in a coma since. These are the stories that stay with you. They are as powerful as the faces that look out of the pages. But it would be wrong to use these stories alone to give context to the book. There is also youth, optimism, and a steadfast strength. There are photos of individuals who are just off from work, people caught in the midst of daily life, stopping at the grocery store, on the way to meet someone. Many of the people were simply asked to be photographed and they agreed. There are no stylists on these shoots, arranging hair and fixing clothing. 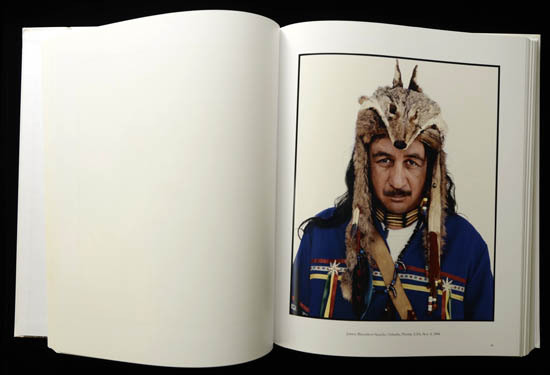 There are also a number of portraits taken at ceremonial gatherings in regalia. It is important to remember that in both the United States and Canada, despite official claims of religious freedom, traditional first nation ceremonies were illegal for many decades. 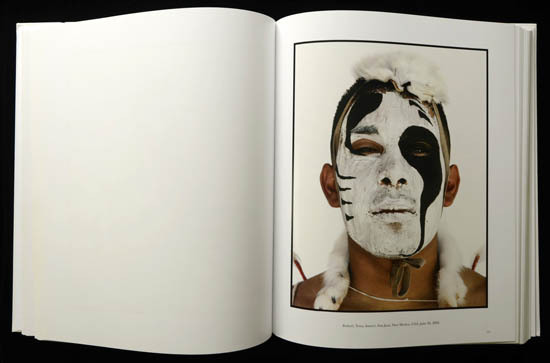 Silent Warriors has been well received, images were included in the 2007 exhibition at the National Portrait Gallery, London, and the project was awarded 1st prize at Prix de la Photographie Paris. Eric Klemm currently lives on Salt Spring Island, BC, Canada. 1. 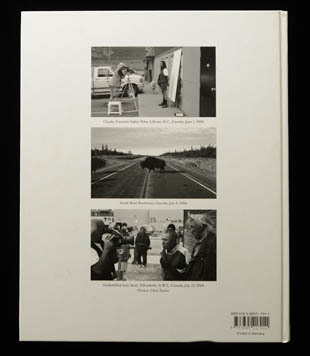 The letter is reproduced in Avedon at Work: In the American West by Laura Wilson. 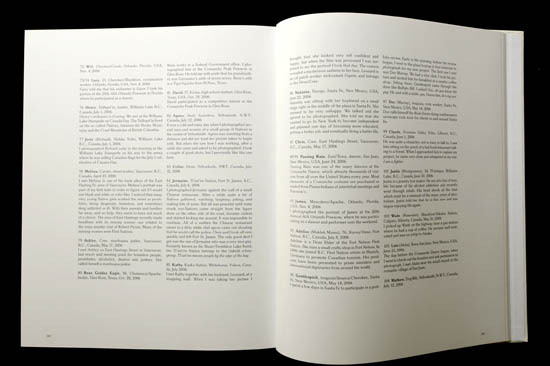 University Of Texas Press. 2003.